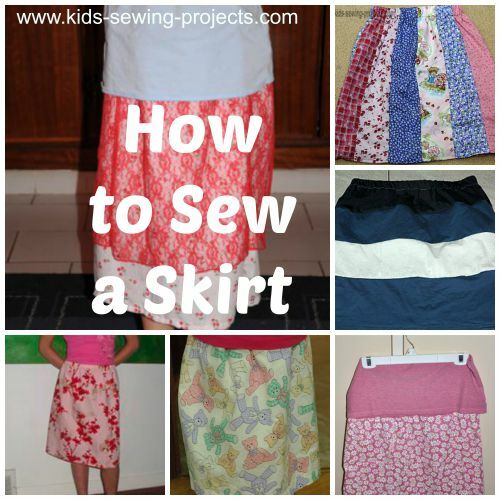 It is rather easy to learn how to sew a skirt. Find out your measurements below and then find a fabric that you'd like to create a fun skirt. 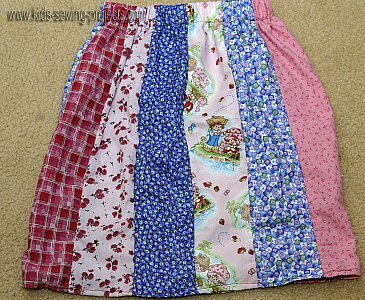 Then experiment with different ways to make skirts. Then measure how long you'd like your skirt to be. Add 2 inches for your waist and hem. For the width you will use fabric that is 45 inches wide. 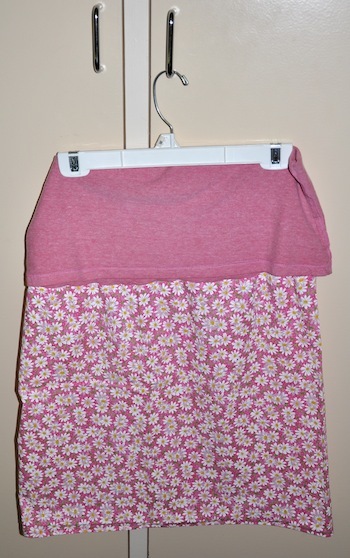 Fold your skirt in half with right sides together. Sew ends together. Turn top edge down 1/4 inch and then down 1 inch. Pin in place. Sew bottom edge leaving 1 inch opening to insert elastic. Measure your waist and add 1-2 inches. Cut out same length of 1 inch elastic. Add a safety pin to the end of the elastic. Insert pin into opening and push through elastic casing until comes out the other end. 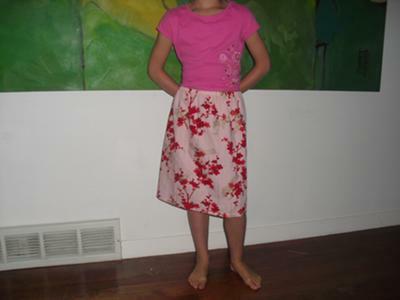 Pin two pieces together and try on skirt. Making sure it fits. If too lose tighten elastic. Sew two ends of elastic together, back-stitching to make secure. Turn bottom edge up 1/4 inch and then 1/4 inch again. Pin in place. Sew bottom hem taking out pins as you go. 1. Measure from your waist to your knee and add two inches. 2. 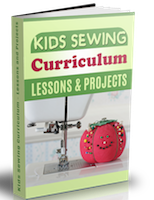 Cut one piece of fabric the width of your measurement. 3. With rights sides together sew a 5/8 inch seam down the selvage edge and press open. 4. You will have a tube of fabric now. 5. On both ends of the tube press in a one inch fold. Then open the fold and press a 1/2 inch fold. 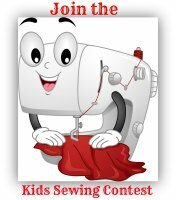 Finally fold the fabric over twice on the lines you have pressed and press again. 6. On the bottom edge stitch all the way around on the fold to make the hem. 8. Measure your waist and cut a piece of elastic that length. 9. Take two safety pins and pin one end of the elastic to the opening. Take the other safety pin and pin it just to the elastic. Use this safety pin to push the elastic through the opening and all the way around the waist. 11. With the elastic inside the casing you made finish stitching on the fold until the opening is closed. 12. Your finished. Try on your skirt.